﻿ Best Price on Villagio Verde in Roatan Island + Reviews! Located on the beautiful island of Roatan, Villagio Verde hotel is just 1 mile from the West En city centre and offers guests free Wi-Fi and free breakfast. The property also boasts an on-site tour desk. 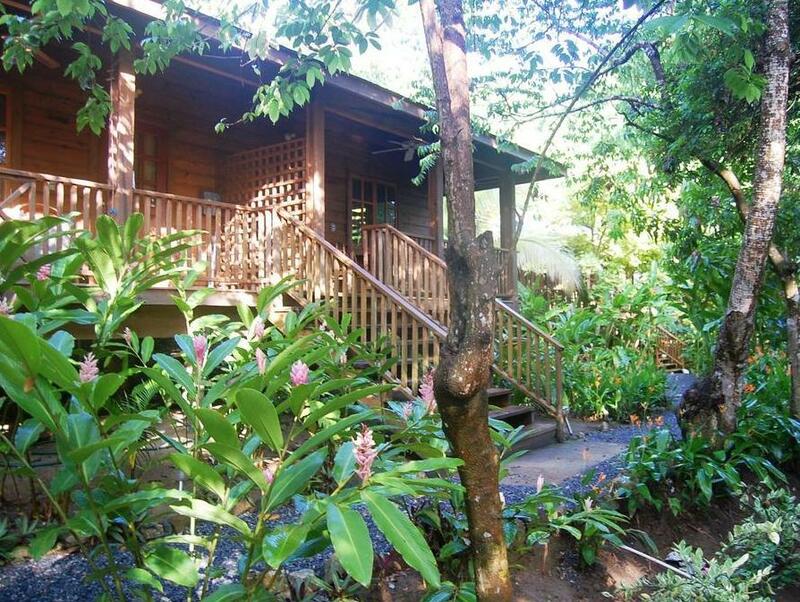 Each room at this quaint hotel features bright décor, a coffee maker and a private terrace with a hammock. All rooms have a private bathroom with a shower and toilet, and some rooms also include air conditioning with an extra cost. The daily breakfast includes juice, fruit, milk, eggs and bread, while neighbouring West End offers a wide range of restaurants serving lunch and dinner. The tour desk can help guests arrange activities like snorkelling, diving, sport fishing and sightseeing. Half Moon Bay is just a 5-minute drive from Villagio Verde, while guests can reach Juan Manuel Galvez International Airport within a 15-minute drive.